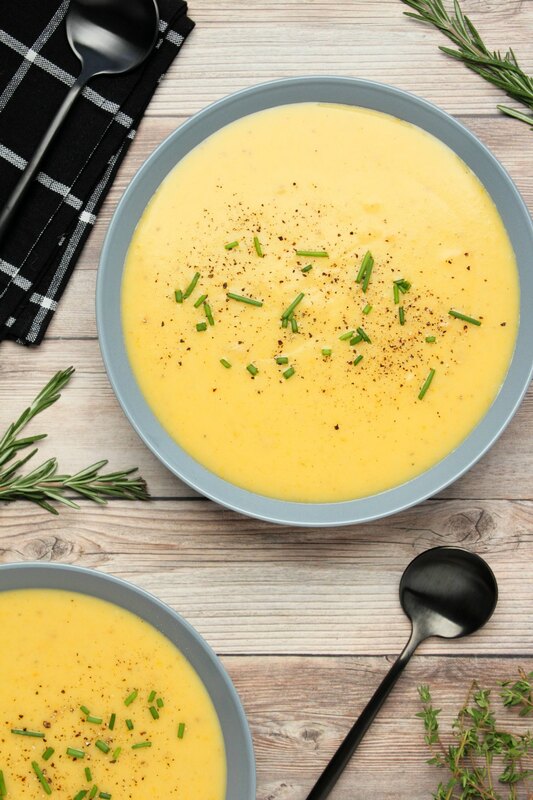 Rich, hearty and satisfying vegan potato soup. Super easy, hugely delicious and so filling you can have it as a main course! 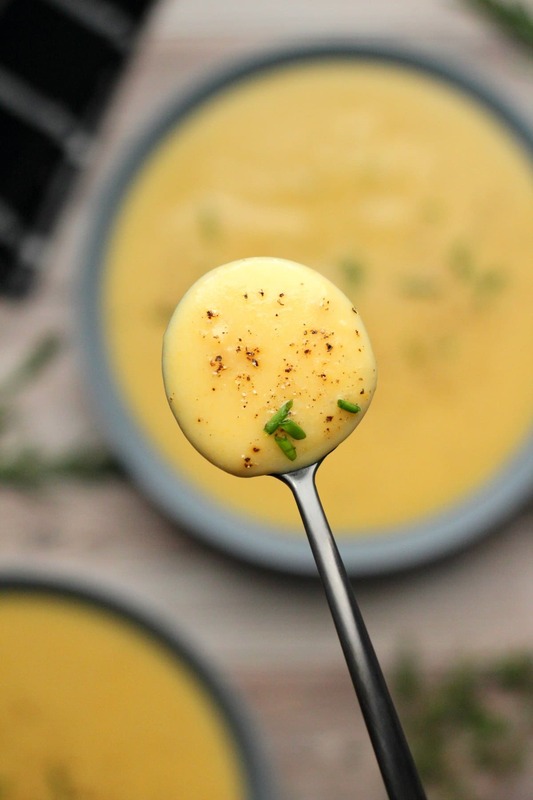 This vegan potato soup will blow your mind. I know this because my mind was totally blown. I’m a big soup fan and absolutely love a good soup. 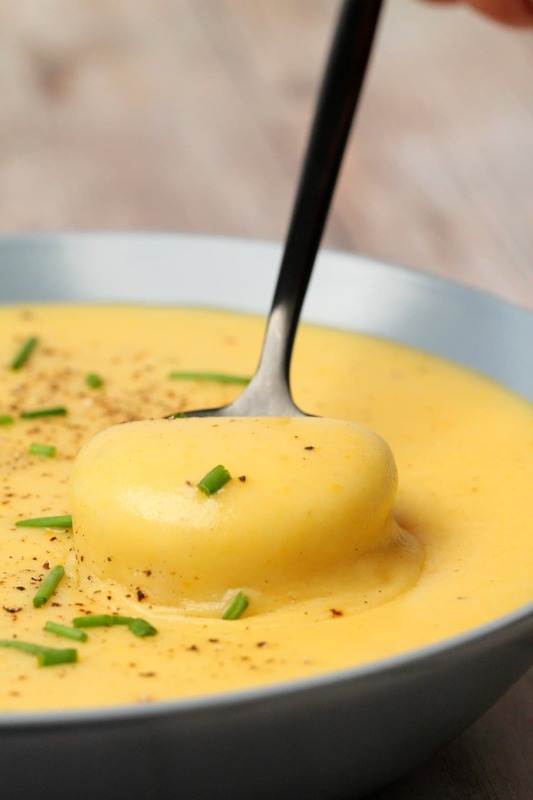 But in all my years of making soups, I had never tried to make a potato soup. Boy, have I been missing out! Don’t be fooled by the color, this aint no butternut squash soup, the color comes from the 2 carrots I added. 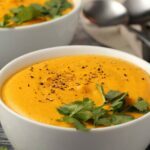 Carrots are great to add to soups, they add texture, color and flavor. 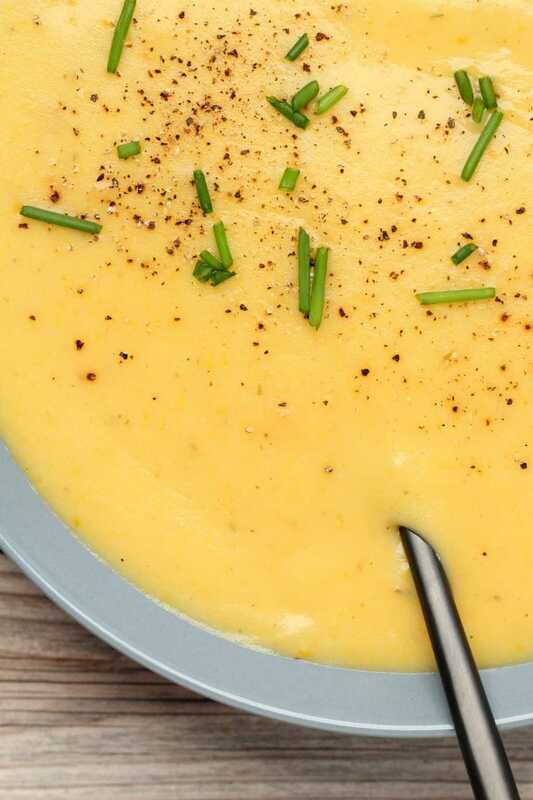 But seriously, this is a potato soup. It’s wonderfully rich, hearty and delicious. And as good as it is on the first go, it’s even better the next day. So when you make this you know you have some good eating ahead. 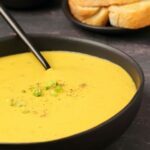 And while we generally tend to think of soups as appetizers, and sure, they are that too, this one is so filling there is no need for a main course. 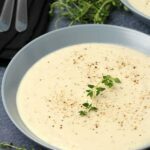 This vegan potato soup is ready in under an hour (50 minutes) and most of that time is just spent doing its thing on the stove without any involvement needed from you, so it’s easy and fun to make. You’re just going to fry up some onion and garlic in a little coconut oil and some dried herbs, then add some chopped carrots and peeled and chopped potatoes and sauté them a little to spread the flavors around. Then you’re going to add in some vegetable stock, bring to the boil and leave to simmer (covered) for around 30 minutes or as long as needed until the potatoes and carrots are soft and cooked. Then it’s just a case of getting in there with an immersion blender and blending it all up, adding in some coconut milk and letting it gently heat through and mix wonderfully with all the flavors of the soup. And there you have it! The most deliciously rich and hearty soup. 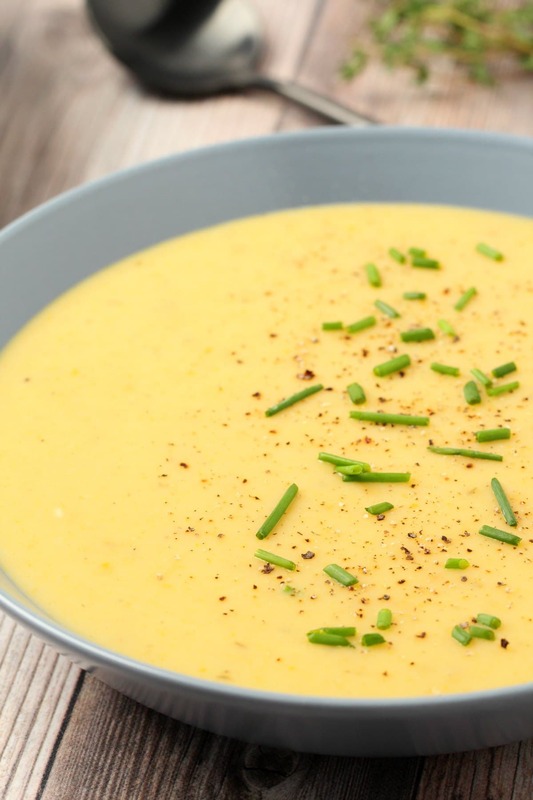 Top with some chives, because you just won’t believe how well they go with this soup. 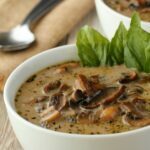 You will love this vegan potato soup, it’s hearty, satisfying and rich and it tastes even better the next day! 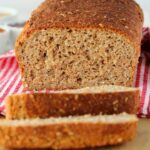 It’s easy to prepare and hugely delicious served with some wholewheat bread for dipping. Have it as an appetizer if you like, but it’s so filling it works great as a main course too. 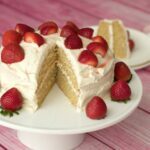 If you have any questions or comments, post them down below, I’d love to hear from you, and please rate the recipe too! Thank you. And if you haven’t already sign up to our email list, not only do you receive a free ebook (containing 10 delicious dinner recipes) but you’ll also stay up to date on all the latest deliciousness posted here. Add the chopped onions and crushed garlic to a pot with the coconut oil and dried thyme and rosemary and sauté until the onions are slightly softened. 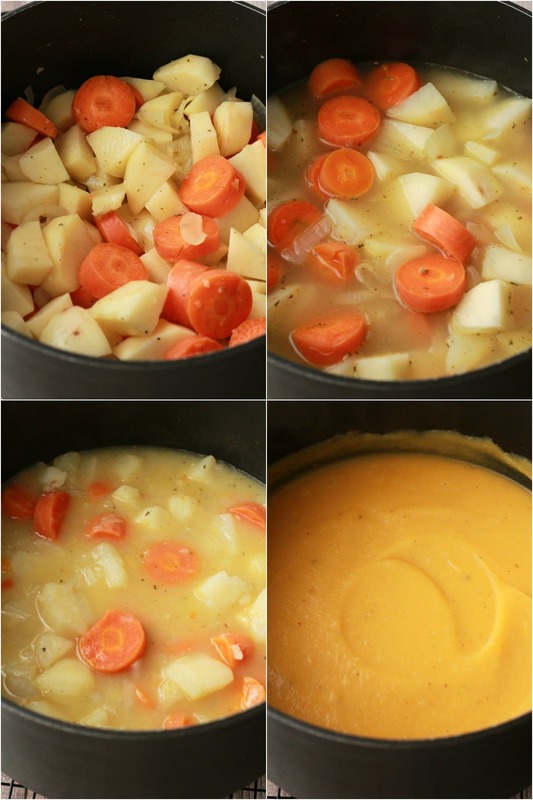 Add the carrots and potatoes (peeled and chopped) and sauté for a minute just to blend the flavors together. Bring to the boil and then cover the pot, turn down the heat and simmer for around 30 minutes until soft and cooked. 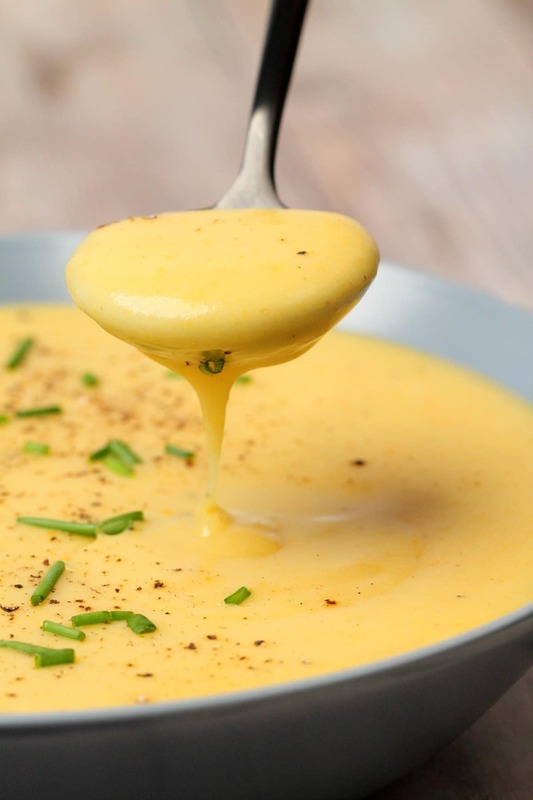 Remove from the heat and blend with an immersion blender into a thick creamy soup. Then add the coconut milk and stir through. 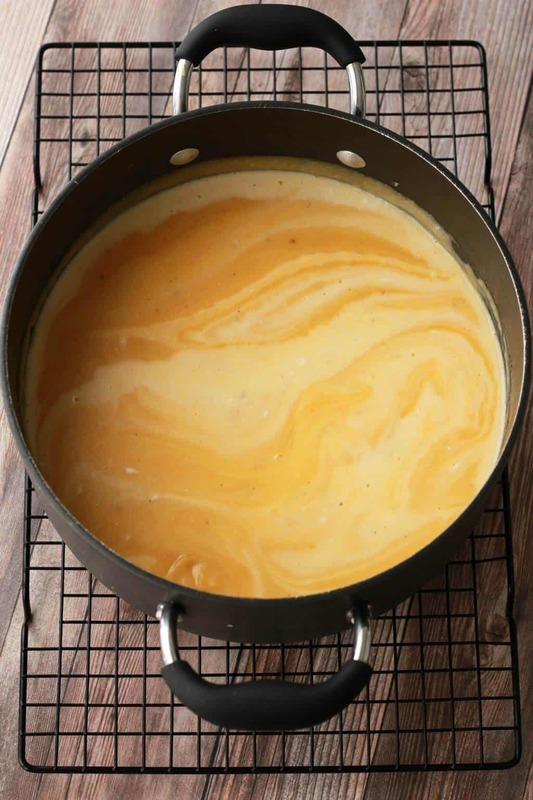 Gradually heat the soup to a simmer again so that the coconut milk flavors blend properly. Serve with chopped chives and some delicious breads for dipping. *Any variety of potato should work great here, so long as you don’t overcook it. The potatoes should be cooked and soft but not overdone (i.e. they should not be disintegrating). 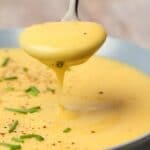 *If you’re serving as a main course, this soup will serve 4, however as an appetizer, it will easily serve 6. This was great, thank you! I had some bacon flavored tempeh so crisped up a couple of pieces in the toaster oven and then chopped it up into tiny pieces. I added it when I stirred in the coconut milk. I made this last night. I think the russet potatoes I used weren’t what I should have used though as the soup came out “gluey” even though I rinsed the potatoes. I’ll attempt this soup again another time and rinse potatoes thoroughly once cut up. Taste of it was fine though once you got past the texture. Thanks! Hey Trish! That is super weird! I didn’t use russet potatoes but I don’t know what would make them gluey, unless they were a bit glassy to start with? I would definitely try again with some white potatoes. I peeled and then rinsed my potatoes but didn’t rinse them again once cut, and there was not even a hint of a glue-like texture, the texture is just perfect. All the best! The taste was even better the next day. And we’ve just finished another bowl and the taste was very good, so I’ll def make this again. I’ll just use different potatoes. Thanks for a delicious soup. My fault it turned gluey. 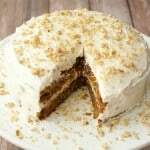 I made this for a gathering and even those who are not vegan said it was delish! Made a good sized batch and froze some portions for myself to enjoy later. Thank you. Good stuff! Thanks for posting Violet! I was wondering how it worked it for Violet having frozen it? I would like to know if it freezes well? What are the “mixed dried herbs” you used? It was a dried mixed herbs shaker, like a mixture of basil, oregano, thyme etc. It’s not powdered spices, it’s dried leafy herbs. It doesn’t really matter which one you use, you can just sort of choose any type of herb or mix of herbs that you like for flavor. This tastes fantastic! A new family favourite for us. Tastes even better the next day! This was so delicious, I did use broccoli, celery, and carrot since I only had one carrot that was tiny. I also used red onion at the beginning. I was worried but this was amazing and I’m so glad! Definitely recommend as is or as a basis recipe. You saved Dinner! really good! I changed it up using flax milk which was what I had on hand and used red potatoes still was so good. Wow! I added some smoked tofu in the very end which I pregrilled. I also only added half a can of coconut milk and it’s already super creamy. I also think you can get a great soup without any coconut milk, it makes it taste more homemade and mom-esque if you do leave it out. 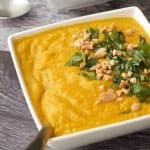 This is really delicious and easy, but it did take me around 2 hours including the time it took to chop up the veggies and to let my soup cool for my blender. I am making this soup right now. We are about to have a few days of cold weather. 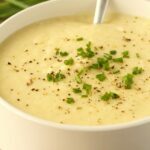 I have always wanted to make a vegan potato soup, but never found a recipe I liked. I just taste tested it and all I have to say is, YUMMY!!!! I am going to have this for dinner tomorrow night so it has a chance to incorporate all the flavors for 24 hours. I am so looking forward to this delicious soup!!! Made this tonight… LOVE. I used my VITAMIX to blend. Then returned to pot and added some frozen kale I needed to use. Delish! Would be excellent with frozen broccoli! This soup is fantastic! I made it as listed above, maybe adding just a bit more ground thyme, and I used Yukon Gold potatoes. 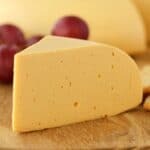 I am constantly looking for vegan recipes that will satisfy the meat-eaters in my family and it’s really rare that I’ll find one where everyone is happy. I almost never leave reviews, but I’ve been enjoying leftovers for 3 days and am still in awe at how good this recipe is. Thank you! Hi can the coconut oil and coconut milk be subbed? I have to avoid coconut. Also, does your cookbook contain a lot of coconut oil/milk/cream? I am thinking of purchasing it, but perhaps may not be for me if a lot of recipes contain it. Thanks. Hi Nina, I do use it a lot so I think maybe the cookbook won’t be a great fit for you. You can use olive oil in this recipe instead of coconut oil and you can sub the coconut cream for any other vegan cream that you like, it could also be a plant based milk but the result will be thinner in consistency (which is also fine!). I added a can of hatch green chili tonite.